What a whirlwind 24 hours it has been in Arsenal land! If I'd been close to predicting what's just happened had happened after the summer we've gone through, I'm sure a lot of you wouldn't have believed me. I'd imagine the best place to start would be the signing of Alex Oxlade-Chamberlain for as ever an undisclosed fee on a long term contract. There are various different combination of fees: £5m upfront and £5m in add-ons for The Guardian to £15m for The Sun. Whilst the south coast club boast of being in the box seat and making Arsenal pay a club record fee for the player, without actually disclosing how much the 17-year-old will cost. It doesn't matter how much we spend on him really.Arsene Wenger has identified he's a top talent and I have no doubt in my mind he'll turn out to be one of the very best in the game. 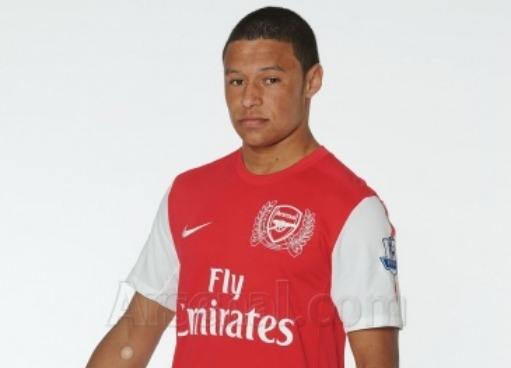 Some of us might have been a little cynical about the timing of the deal to bring the 17-year-old to the club. CEO Ivan Gazidis was due to meet members of the Arsenal Independent Supporters Association (AISA) last night at 6.30pm. Shortly before the meeting was due to start, the announcement was made of the signing of our latest recruit. Perhaps he was trying to placate the audience? I also don't understand the outrage of John Cross in the Daily Mirror who says Wenger should have brought a defender before he even considered buying Oxlade-Chamberlain. There is one outraged fan quoted - but at least he's fuming for us all! It saves me the trouble. And frankly, I don't understand the outrage at us actually signing a player.... absolutely crazy. Personally I'm very happy we've signed a player in Oxlade-Chamberlain who has the potential to become one of England's best - and he's already targeting a place in the national team. Already people have raised questions over why we've spent money on a 17-year-old who has only played in League One when we have lots of those players already. Well it's not his fault he lives on the south coast and it's not his fault the rules stipulate you have to live within 90 minutes from the club that trains you as a youngster. He has progressed very well at Southampton and they didn't want to lose him, hence why they made a song and dance out of being able to drive the price up. Let's not forget that we beat Manchester United to his signature. According to the Daily Telegraph, Alex Ferguson wasn't prepared to match the fee we paid for 'a player who has only played in League one'. This is the same man - who we won't forget splashed out £7m on Bebe.... where is he now? His signing also shows that Gazidis and Wenger haven't finished strengthening our squad. I know a lot of people would have preferred us to have signed an experienced central defender at the start of the summer but it's not happened yet, for whatever reason. Gazidis said last night that the manager has recognized we need to bring in experience in defence and that is what they're working to do. I would be very, very surprised if we didn't see an addition in that area before the window slams closed. Gazidis said the money was there for the club to do its business and also said Commercial Director Tom Fox and his team were close to securing some very lucrative deals which would pump a lot of money into the club. Personally I was very pleased to hear this as it was one of the questions missed at the recent AST Q&A with Gazidis. When we're falling behind Manchester United in commercial revenue terms, it's good to now hear we're making good progress to claw our way back in this very important area. Also delivered last night for the first time was a message to fans from majority shareholder Stan Kroenke. It was good to finally have some words from the American, even though I don't believe we had a terrific season last time round. Let's hope he is true to his word and makes sure Arsenal are successful. Away from the AISA meeting, Jack Wilshere withdrew as expected from the England squad. Much of his call up and subsequent withdrawal has been made out to be a club vs. country row between Wenger and Capello. I don't believe that for a second. Wenger knows Capelllo is well within his rights to call the player up. The England medical team gave him the once over and then sent him back to Arsenal. No harm done. Capello has nothing to gain from playing an injured player. It seems that Samir Nasri is closer to the exit door. Reports from French radio last night suggested the midfielder had agreed personal terms with Manchester City and a deal would be done with Arsenal for a fee of around £22m. The Sun suggest that is quite possibly the case, but add that Wenger wants the total fee upfront so that he can reinvest it in a new signing straight away. Another player who is also looking to leave is Nicklas Bendtner. The Danish international has confirmed he will leave the club if he gets his way, but it is now down to Arsenal... If I were Ivan Gazidis I would sit on this one for a while. We could really do with Bendtner this season, especially as Marouane Chamakh doesn't have any form and we're a Robin van Persie January injury away from playing Andrey Arshavin as our point man. What could potentially be some bad news for Arsenal come January: Armand Traore has been called up by Senegal for their match with Morocco. If he is selected for the African's Cup of Nations in January, that could leave us very short at left back. And finally, Ivan Gazidis last night announced the attendance figure (tickets sold) for all home matches at the Grove next season would no longer be announced. This is because Arsenal sell out every week, so his point was what's the point in announcing it? I don't think that is the point. Why can't the club announce bums on seats? He says it's because fans see it's not a match which has a maximum capacity and are rightly annoyed they could have brought tickets and attended. However he also admits that ticket exchange doesn't do what it was setup to do which is make it easy for those season ticket holders who can't attend to easily and legally sell their seat. I say fix the technology and announce bums on seats.